Before we begin, please note the term “link(s)” can be interchangeably used with the term “control arm(s)”. What’s the purpose of rear links? I’m sure many of you already know that links generally help position the axle and pinion angle; but which links do what?! 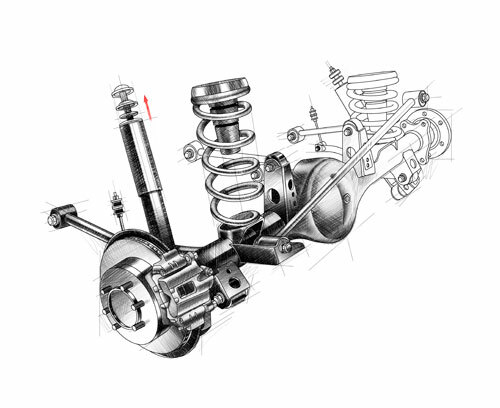 The primary job of the lower links is to position the axle(front & back). Upper links position the pinion angle. The panhard positions the axle laterally. Do I need new links? Well… there’s no simple answer to that. Let’s go over a few questions first and go from there. Do you do any off-roading? If so, I would at least recommend a heavy duty aftermarket lower link. Most factory links are fairly small in diameter and made from thinner material which increases the chances of bending if you hit a rock. Below is a comparison of a stock FJ Cruiser link cut in half vs RESZ heavy duty lower link and a very blurry photo of my stock link that bent when it hit a rock. Although a lift doesn’t necessarily mean you NEED new links, aftermarket links will help position everything back to where it’s supposed to be. 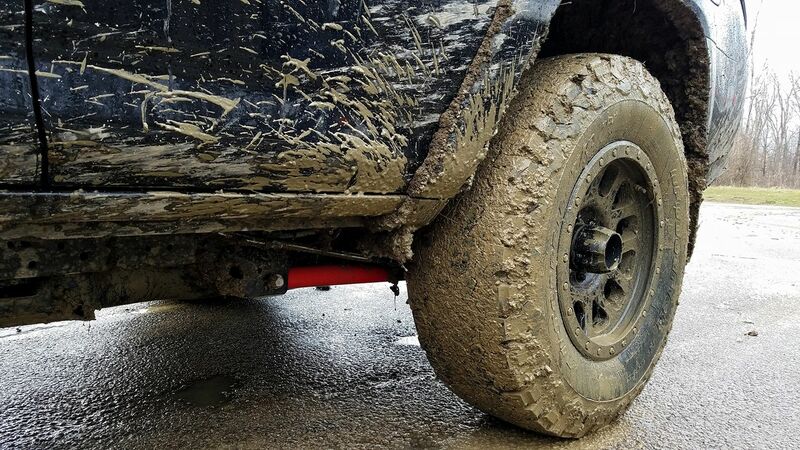 If you have a lift, but don’t plan on doing any off-roading, you can get away with just using the factory links. However… your pinion angle will be slightly off as well as the axle position. Do you have extra play in the rear axle and/or hearing noises you shouldn’t be hearing? This would probably be a good time to check the bushings on the links. After a while the rubber tends to wear out and/or crack. The beautiful factory links below are approximately 9 years old. If you zoom in, you can see how bad the bushings are. What are the pros and cons of the different ends? This is probably one of the most commonly asked questions. It’s also one of those topics that could easily change based on ones opinion. I’ll do my best to explain the differences without being too bias. Rubber bushings – Most factory links and suspension components use rubber bushings. Great for on-road use. Pros – Stretchy (allows for more movement in the ends vs polyurethane bushings). Absorb vibration. Cons – Stretchy (some prefer a stiffer suspension feel. rubber bushings can feel a bit mushy). Not easily replaced. 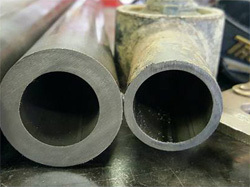 Polyurethane bushing – Commonly used on at least one end of many aftermarket links. Great for on and off-road use. Pros – Absorbs vibration(but not as much as rubber). Cheap. Easily replaced. Cons – Doesn’t allow for as much movement as rubber bushings. Squeak when not greased. Currie Johnny Joints – Come with threaded shaft(adjustable links) or weldable barrel(non-adjustable). All are made from a ball center with polyurethane bushing surround. These offer 40 degrees of unrestricted movement. Great for on and off-road use. Pros – Maximum amount of unrestricted movement(most articulation). Absorbs vibration(not as much as the above bushings). Smoother movement of the link. Cons – High maintenance(routinely need to be greased). Squeak. Expensive. Loosening jam nuts(on threaded JJ’s). Seized threads(if you don’t use anti-seize. Heim Joints – For the sake of this discussion, we’re going to talk about the heat treated chromoly teflon lined rod ends. Most of these will give you about 22 – 32 degrees of unrestricted movement. Great for off-road. Pros – Will give you max load ratings(unlike Johnny Joints). Will take a serious beating. Smooth movement. Adjustability. Small(er). Easily attainable and replaceable. Cons – Does not absorb any vibration. Noisy. Less movement than Johnny Joints. Moderately expensive. What kind of links does RESZ Fabrication offer? We currently offer both upper and lower links with various ends. We have a panhard in the works, but having trouble finding/getting the right size bushings. I’ll list the different styles below and give a brief description of each. Let’s start with the lower links. Note: All lower links are made of 1.75″ x .310″ thick DOM tubing and are offset at the axle end to allow for maximum drop without binding. They can also be ordered in red, black, or bare metal. These adjustable links are threaded at one end and accept a 2.5″ Johnny Joint with 1.25″ shaft. The axle end is offset with polyurethane bushing and grease fitting. We also offer an adjustable lower link with an offset welded Johnny Joint(no pictured) for maximum performance and articulation in place of the polyurethane. 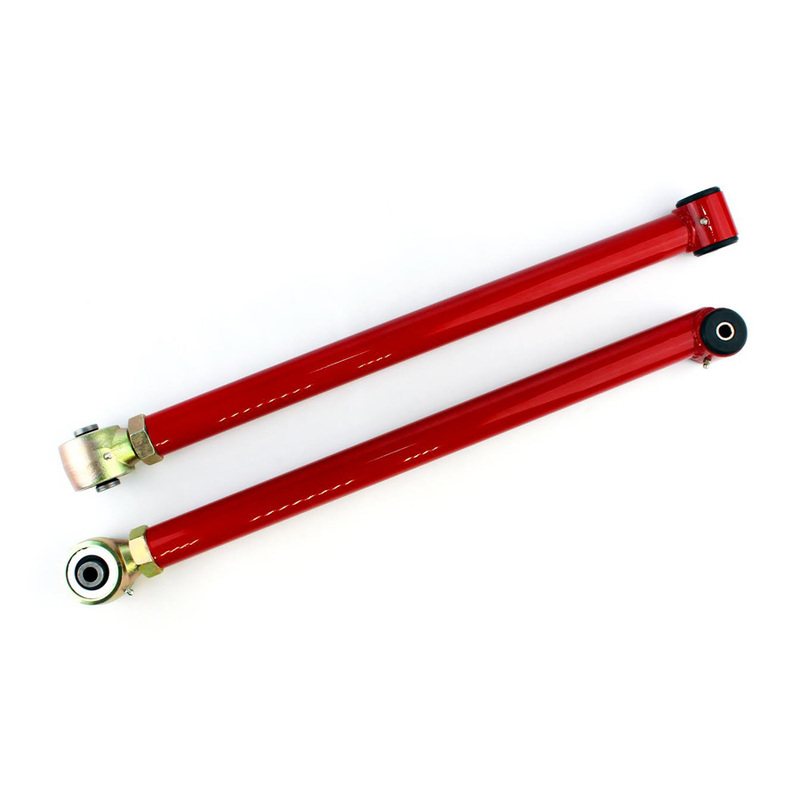 Adjustable links are recommended for those that really want to fine tune their suspension. The non-adjustable(fully welded) links come in 3 variations; dual polyurethane bushings(pictured on the left), combo – offset polyurethane bushing and welded Johnny Joint(pictured on the right), or dual welded Johnny Joints. 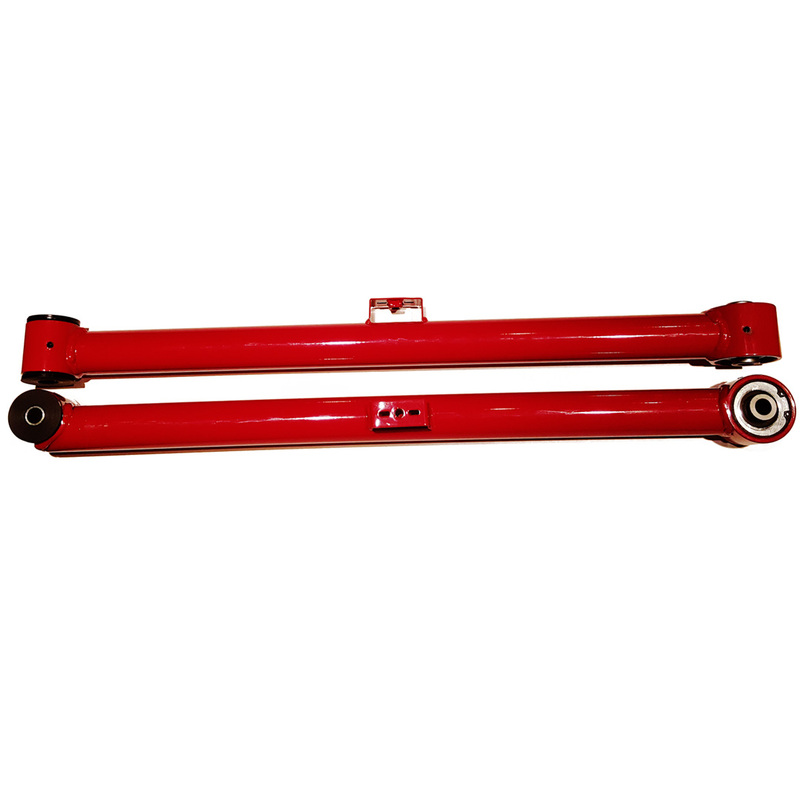 All non-adjustable links are manufactured roughly 1/8″ – 3/16″ longer to account for a standard 3″ lift. 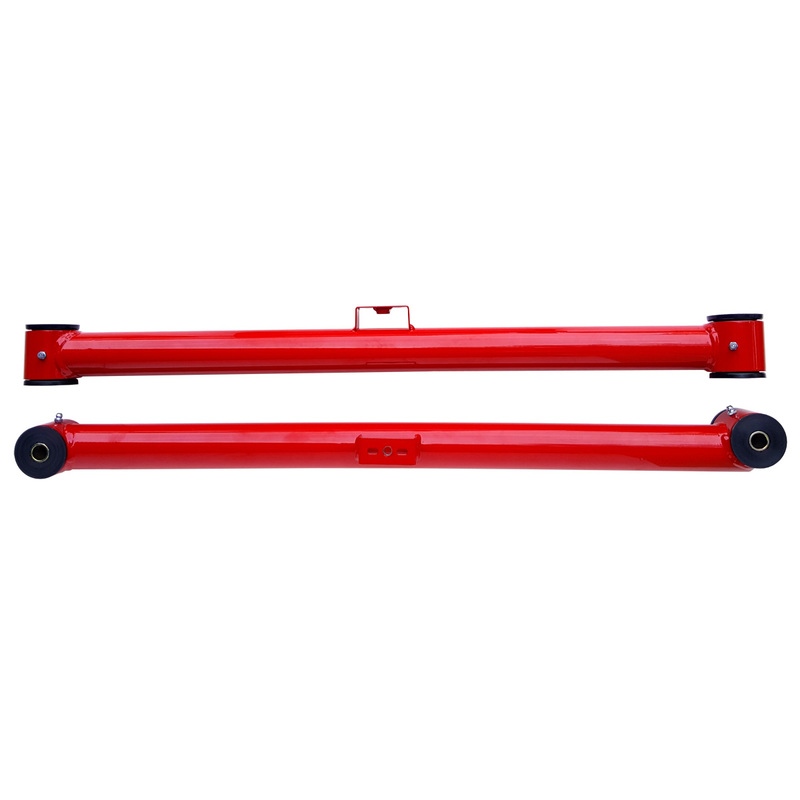 If you are not planning to lift the truck and would still like the heavy duty links, please note when ordering and we’ll adjust the length for you. The non-adjustable links are great for those that want the added strength, but don’t need the adjustability. You also won’t have to worry about those pesky jam nuts loosening up on the trail. Our adjustable upper links are made from 1.25″ x .120″ DOM steel tubing. One end has a TIG welded threaded bung that accepts a 3/4″ chromoly heim joint with 32 degree misalignment spacers, while the other end houses a polyurethane bushing with grease fitting. 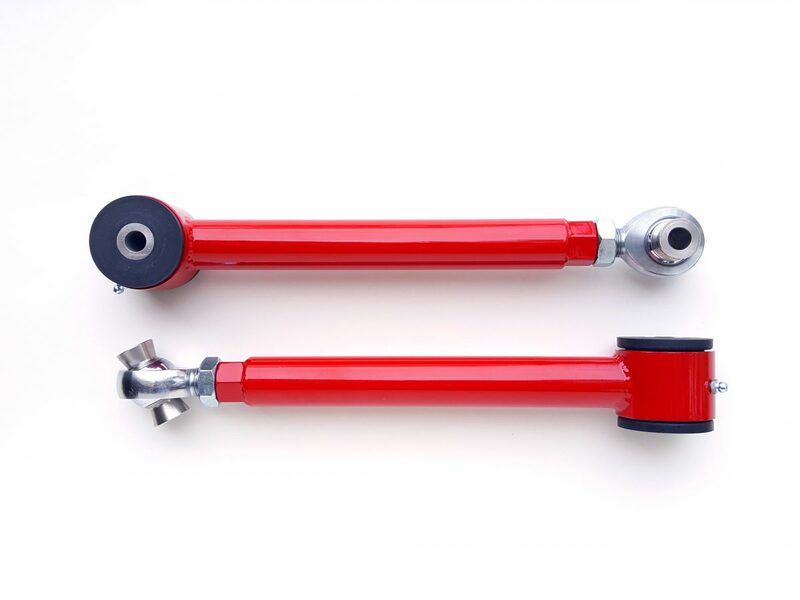 Just like the adjustable lower links, these will allow you to fine tune your suspension by getting your pinion angle back to where it’s supposed to be after you’ve installed a lift. 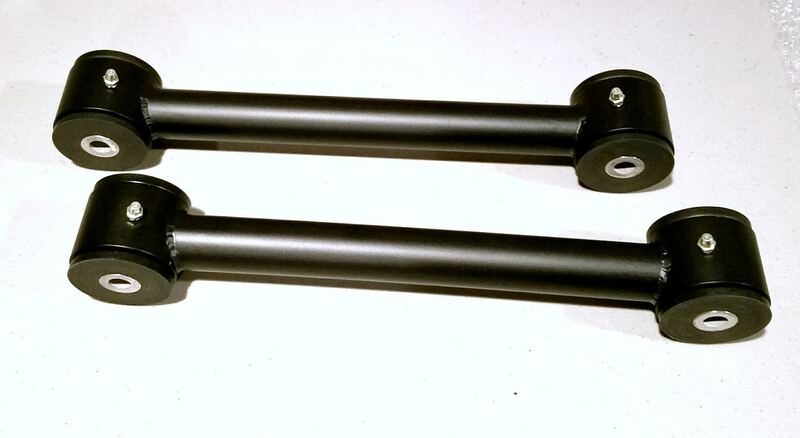 Made from the same material as the adjustable upper links, but without the heim joint. 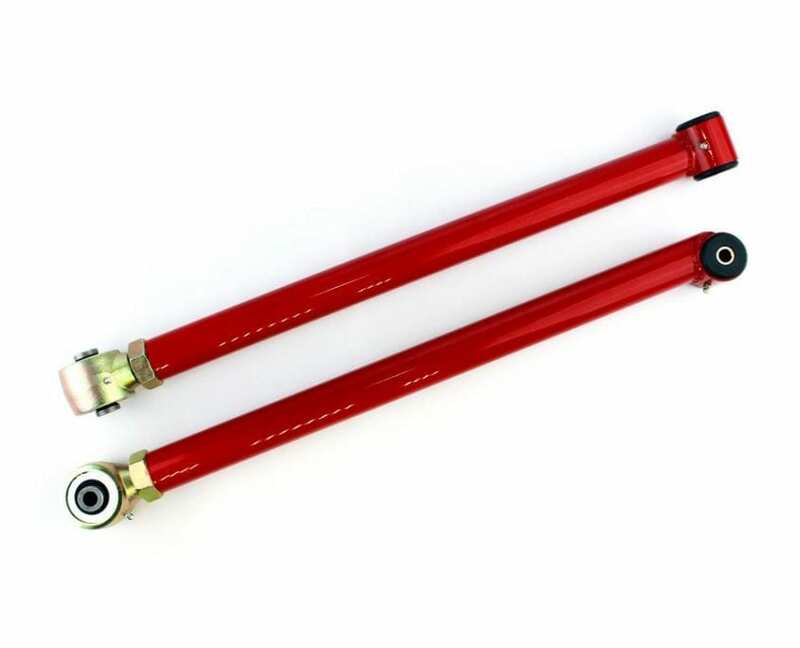 Just like the non-adjustable lower links, these are also set to 1/8″ – 3/16″ longer to account for a basic 3″ lift. Will these links fit my truck? 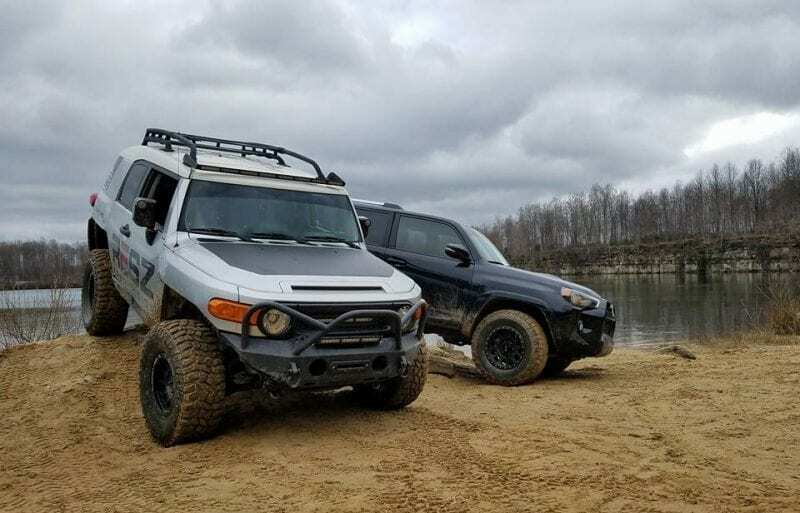 RESZ Fabrication currently only offers rear links for the FJ Cruiser(2007+) and 4Runner(2003+). Are your links mud resistant?